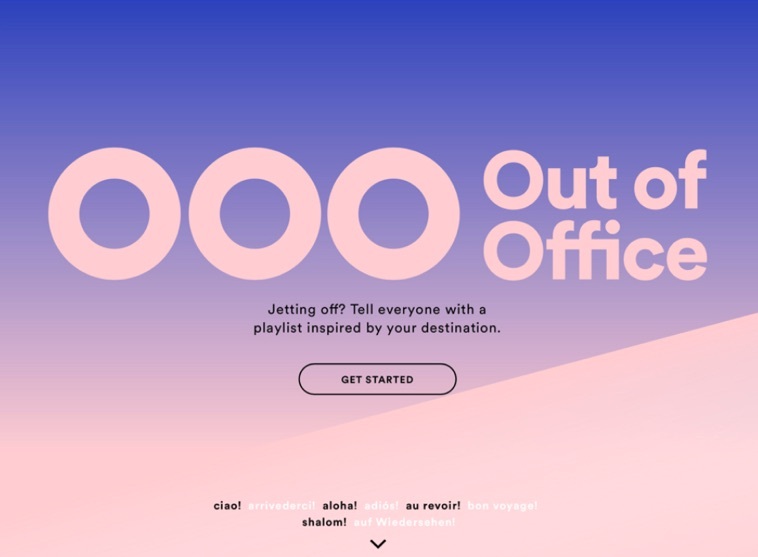 We turned a simple “out of office” message into an opportunity to discover new music from around the world. To demonstrate the power of Spotify’s platform, we created a data-driven experience to tell a compelling story. 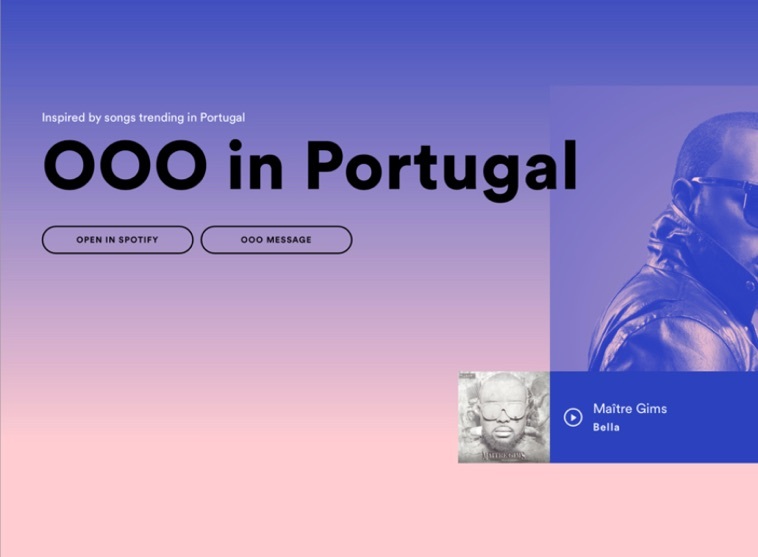 Spotify’s powerful ad solutions and API capa­bil­i­ties help brands and advertisers innovate by providing insight-driven ways to reach their audiences. Deliver a musical out of office message with a playlist and customized message based on what’s trending in that location. Inspired by travel. Fun to use. The landing experience presented data stories about how people listen when they travel. Doing so helped educate and inspire the audience around how Spotify’s data can be used to connect with people. 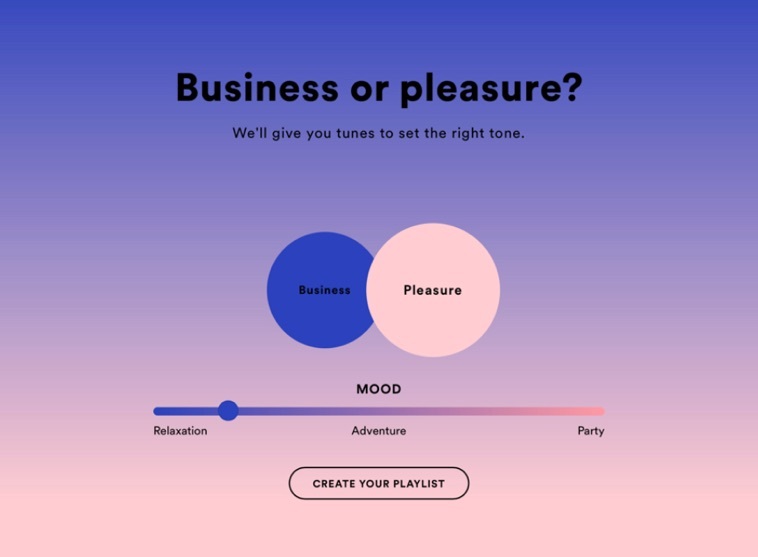 Users would authen­ti­cate with Spotify, enter their destination, toggle between work and play. They would then have the opportunity to preview the playlist and create a customized OOO message for their email. Out of Office launched globally and immediately went viral in the advertising community. Copyright © 2018 The Brigade.